If pumpkin seeds resurrect the cozy nostalgia of a lifetime's worth of pumpkin carvings past, we're right there with you. In fact, if we think about it long enough, we can almost feel the cold, evasive seeds sliding through our hands as we scooped out the fated insides of our prized pumpkin. Back then, the goal was to discard them as fast as possible. After all, there were stencils, spooky grins, and sharply shaped jack-o-'lantern teeth to attend to. However, these days, we know how many amazing health benefits pumpkin seeds can have, and we're very much into incorporating them into our diet (and yes, even our skincare routine) in any way possible. We've known that nuts and seeds are great for incorporating essential fatty acids, minerals, and vitamins into our diet, but for a while, chia seeds, flaxseeds, almonds, and walnuts seemed to take the glory. However, as it turns out, pumpkin seeds are the under-the-radar superfood that packs a serious punch where nutrition is concerned. Plus, they're absolutely delicious. Curious about the seeds and all of their radiance-enhancing potential, we asked Sammi Haber, a top nutritionist for NYC-based Nutrition Works, for a crash course in all things pumpkin seeds. From benefits to cooking and buying tips, keep reading to learn all about pumpkin seeds and why they should be considered your newest snack du jour. Healthy fats: Rich in both omega-3 and omega-6 fatty acids (plus a complementary dose of antioxidants and fiber), Haber points out that these healthy unsaturated fats help to decrease inflammation and protect the heart. These essential fatty acids are rich in ALAs (alpha-linolenic-acids), which we need to get from healthy food sources as our bodies can't produce them on our own. And of course, healthy fats do miraculous things for our hair and skin. Magnesium: According to Haber, pumpkin seeds are one of the best natural sources of magnesium—a vital mineral (that many of us are deficient in) that can help lower blood pressure, stabilize blood sugar, relax muscles, relieve stress, and even aid digestion. Magnesium is especially important for women, as it can have a profound effect on our hormones and menstruation. Zinc: "Pumpkin seeds have a lot of zinc, which helps maintain skin elasticity and promotes healthy hair," Haber tells us. It's also great for immune health, and just like magnesium, it's an under-the-radar key for hormone heath. In fact, if you're low in the mineral you can experience symptoms like fatigue, hair loss, infertility, brain fog, digestive problems, and more. Try snacking on a quarter cup of shelled pumpkin seeds, which boasts a generous portion of zinc with 20% of your daily value. Phytosterols: Last, but certainly not least, Haber tells us pumpkin seeds have some serious health benefits due to their high content of phytosterols, which lower cholesterol and in turn amplify heart health. Structurally, phytosterols (they're plant-derived, by the way) are very similar to cholesterol, and more and more research suggests incorporating them into our diet can improve cholesterol metabolism. "Drizzle a little olive oil on top and roast them at 350˚F for about 15 minutes, or until they start to get golden brown. You can add whatever spices you’re in the mood for—cinnamon for a sweet take or just a little sea salt for a simple savory addition to a meal." You can nosh on them solo as a healthy snack, or do like Haber and toss them onto salads, soups, or even roasted vegetables. We also love them blended into our favorites smoothies or as dreamy oatmeal or avocado toast topper. Not only does this pint-sized bottle look pretty on your nightstand, pumpkin seed oil is one of the main ingredients. 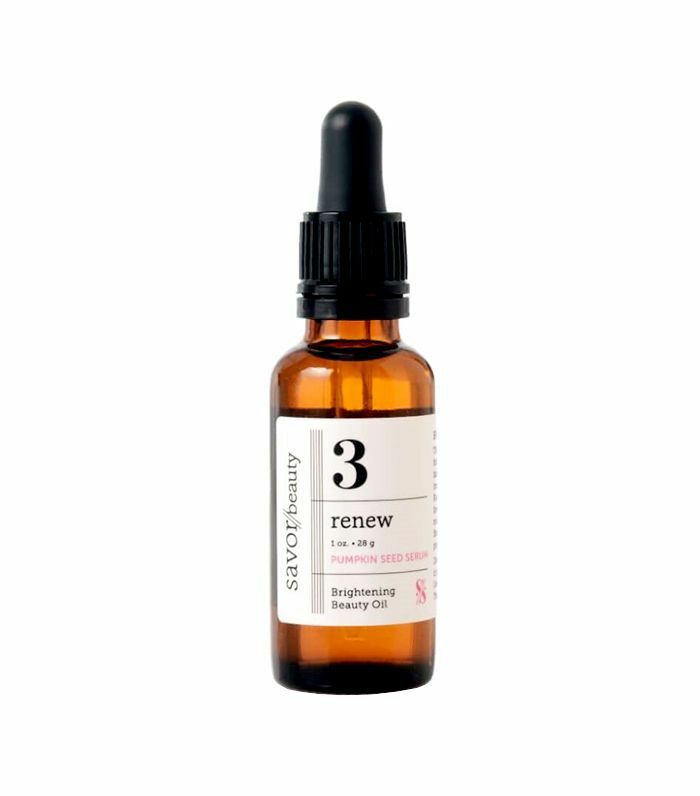 Smartly paired with the skin-improving likes of rose-hip, meadowfoam, and sunflower oils (in addition to extracts of lavender, carrot, and fennel), this 100% organic face oil is adept at fighting fine lines while infusing skin with a rush of hydration which lends itself to a plump, glowing complexion. A luxurious melding of oils (pumpkin joins the ranks of grapeseed, chia, cranberry, pomegranate, baobab, jojoba, marula, and borage), this body oil couldn't be a more delicious addition to your daily shower routine. Apply it immediately to semi-damp skin post-wash and enjoy the subtle, happy notes of neroli and orange extract. And of course, since it contains pumpkin seed oil (think fatty acids, vitamins, and antioxidants aplenty), your skin will reap all the super-luminous benefits. 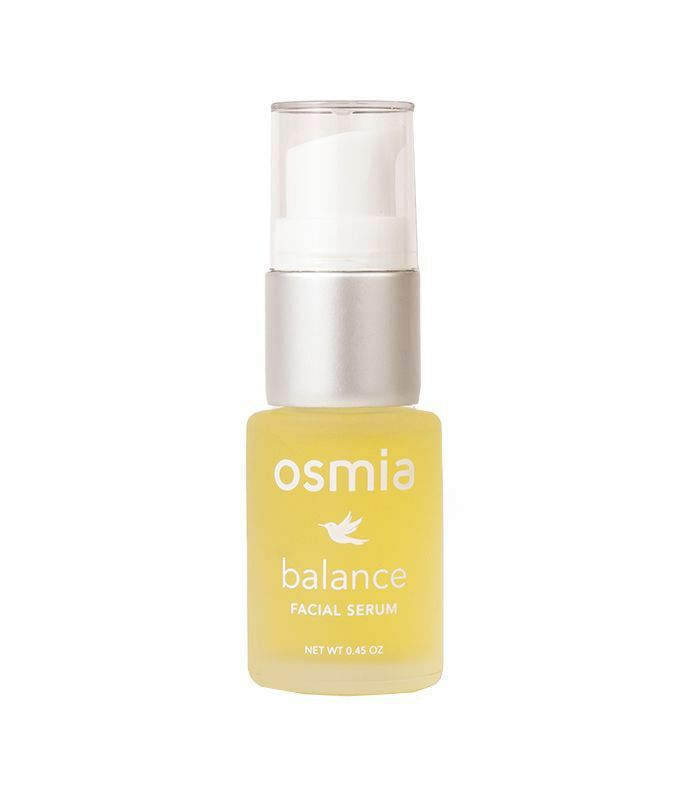 Oils can sometimes feel heavy and claustrophobic, however, not so with this pumpkin seed–infused elixir from Osmia Organics. 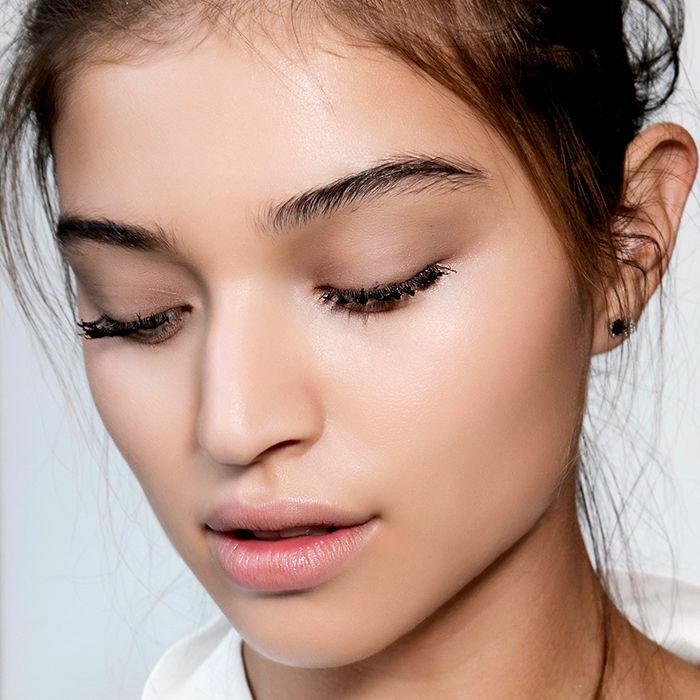 It helps stave off excess sebum (so say hello to fewer breakouts) and will maintain and enhance skin's natural glow and smoothness. Plus, thanks to the light, earthy scent (blame it on the kukui, black seed, and black cumin oil), you'll feel as if you're gifting yourself with an at-home facial each and every time you massage it into your complexion. Next up: the best foods for hair growth, according to top nutritionists.